Whilst Sharp are probably best known for the manufacture of solar panels (and other electronic products), they do actually manufacture a rather sold solar inverter range. That is what we are going to take a little look at in this Sharp Solar Inverter Review. Sharp is probably one of the most trusted brands in the world of electronics. Sure; they have fallen by the wayside somewhat over the past few years. This is in part down to the fact that they are not spending as much on marketing as they used to. They have not dwindled in terms of research and development expenditure however. In fact; they are pumping more into research and development than any other company out there. This means that they can guarantee that their products are going to be reliable. It is worth noting that Sharp have about fifty years of experience in Solar power. Many a Sharp Solar Inverter Review seems to forget this. This is a great shame seeing as though the experience means that they are certainly doing something right. Sharp is a company which has built its name upon shipping only the highest quality products time and time again. 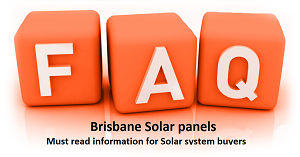 This means that you do not have to read a Sharp Solar Inverter Review to know what to expect. You already know that you are going to receive something of a high quality and of a high reliability. Before writing this review I took a quick peek online. There are very few complaints about any of their Solar Inverters. This is truly special as it shows people trust these products. All of the Sharp Solar Inverters come with a five year warranty as standard. This means that if something does go wrong, and I admit that it is rare something will go wrong, you can rely on Sharp to help you out. By all accounts they tend to be very fast to act too. They have agents all over Australia which means that you will have somebody coming to sort out your problems in a flash. The features boasted by the Solar Inverter will of course vary wildly based upon the one that you purchased. I have tried a few of them out however and they all seem to have a lovely LED display (makes taking those readings easy!). one thing which really stood out however was the fact that they tend to have an efficiency rating of 95%. This may not seem like a lot but it really is. There are a few solar inverters on the market, at the cheaper end of the spectrum mind you, which have efficiency ratings as low as 70%. This is not going to help you in the slightest. You will never get 100% efficiency rating from a solar inverter, but 95% is pretty close and it is a wonder that Sharp have managed to attain this considering how cheap their products actually are.